Video: "One Thousand and One Nights"
Δελτίο τύπου: «Italy's pagan metal band MaterDea unleashes the lyric video of "Neverland", taken from the latest album "Pyaneta" released by Rockshots Records on June 8. 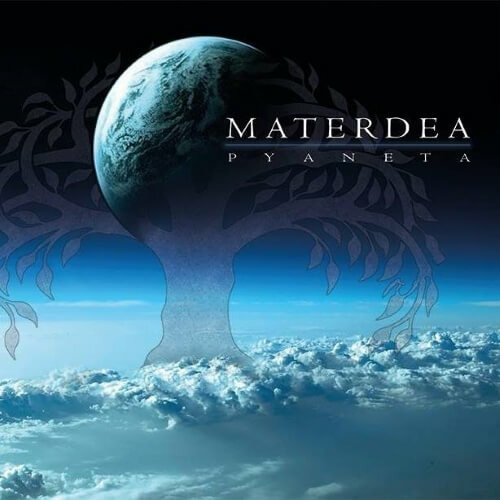 “Pyaneta” is a new fascinating and enthralling journey. It is a powerful symphony where all the instruments and the voices join the sounds of the Nature, painting new grandiose landscapes enriched by colors and sophisticated arrangements. The melodies reveal themselves along with the sumptuous guitar riffs, a powerful rhythmic session and the twist of strings and orchestration, allowing the listener to be carried away in a dimension full of energy, beauty and hope by these magical tales.